Offering a gentle invitation to take some time for yourself, the Amish Xtreme Comfort Rocker is all about maximum comfort dressed in a modern style. The Xtreme Comfort Rocker has a generous curved base with sculpted arms that feature an attractive X shape. 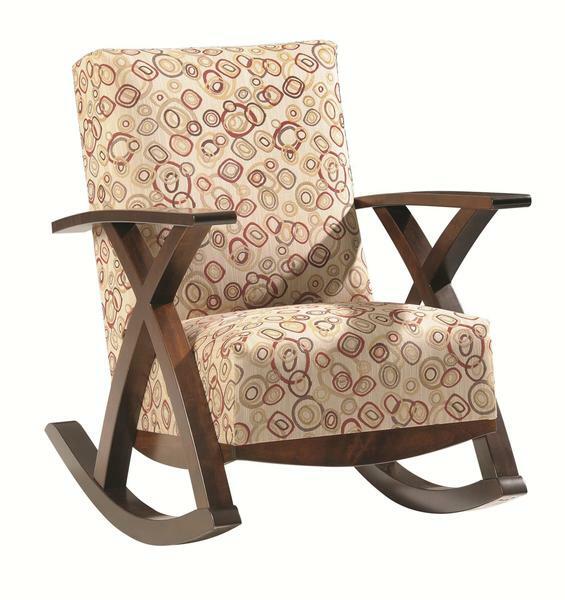 This comfort rocker is one you can sink into with a good book, a cup of tea or a cozy blanket when it's movie time. Amish made means this rocker will stay in your family for generations--you might need two of them so there's enough to share! We are eager to answer any questions that arise. Our team of knowledgeable Furniture Specialists is here to be sure you get the exact look you're going for with your new custom furniture. Email or give us a call. We would love to hear from you.